A new coronavirus has been isolated from two individuals with severe respiratory illness. It is different from the SARS coronavirus, but health officials are nonetheless preparing for a rapid response should the virus be detected elsewhere. The novel coronavirus was first reported by Ali Mohamed Zaki on ProMED-mail on 15 September 2012, from a 60 year old male patient in Saudi Arabia with pneumonia and acute renal failure who died in July. The virus was isolated by culturing sputum on Vero and LLC-MK2 cells, and identified as a coronavirus by polymerase chain reaction. Dr. Zaki sent the virus to Ron Fouchier in the Netherlands who sequenced its genome and confirmed that it is a beta-coronavirus closely related to bat coronaviruses. At the beginning of September 2012 a 49 year old male Qatari national who had previously traveled to Saudi Arabia was admitted to an intensive care unit in Doha with severe respiratory illness. He was moved to the United Kingdom where laboratory tests confirmed the presence of the novel coronavirus. Comparison of a 200 nucleotide genome sequence with that from the Saudi national revealed 99.5% identity (one mismatch). Alignment of this sequence with that of other coronaviruses shows that the new virus is related to bat coronaviruses. This new virus is not the SARS coronavirus, but because it is related to bat coronaviruses there is concern that it could spread rapidly among humans and cause serious respiratory disease. This is why WHO has placed health officials in its six regions on alert, and has issued a case definition so that the disease may be readily detected. The definition comprises: acute respiratory syndrome which may include fever (≥ 38°C , 100.4°F) and cough requiring hospitalization or with suspicion of lower airway involvement (clinical or radiological evidence of consolidation) not explained by any other infection or any other aetiology; and close contact within the last 10 days before onset of illness with a probable or confirmed case of novel coronavirus infection while the case-contact was ill, or travel to or residence in an area where infection with novel coronavirus has recently been reported or where transmission could have occurred. There are now six known human coronaviruses; one of them is SARS, but four cause the common cold and are quite innocuous. So let’s keep both feet on the ground and not blow this out of proportion. For starters, we’ll find out whether animals get sick from this virus. You can isolate a virus from a patient, but that does not mean they died from it; to show that it causes disease you need to fulfill Koch’s postulates. That’s what we did for SARS, and it’s what we hope to do here; we’ve applied for emergency ethical approval. The most obvious animal species to put this virus in are mice, ferrets, and perhaps monkeys. Proof that the new coronavirus is an agent of respiratory disease would come from its isolation from additional patients with the disease. 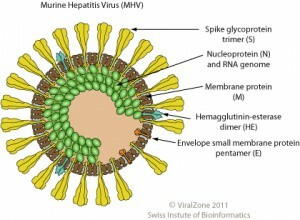 An outbreak of severe respiratory disease in Jordan in April of 2012 is now being reviewed for evidence of the novel coronavirus. Coronaviruses are composed of enveloped virions that contain a positive strand RNA genome. Human coronaviruses may cause the common cold or severe respiratory illness. In 2002 the SARS coronavirus emerged in China and spread globally, infecting over 8000 individuals and killing more than 900. The SARS coronavirus is believed to have originated in bats and spread to humans either directly or through animals in meat markets. Because the new coronavirus isolated from two patients is related to bat coronaviruses, there is concern that a scenario similar to the SARS outbreak is in the making. Whether or not this is true will be revealed in the coming weeks. There is strong evidence that a novel virus caused the severe disease in the two patients. Based on this assumption it can be concluded that the virus poses an as yet poorly defined level of threat to people’s health. There may have been other cases in the past that were missed and serological testing of stored sera and other specimens from such cases will be important. […] Our assessment, based on the limited information currently available, is that the risk of wide spread transmission resulting in severe disease is low. However, the emergence of a novel coronavirus requires a thorough assessment which is currently being coordinated at international level. Ron Fouchier telling us not to blow new findings out of proportion: priceless. As a loyal TWIV listener, when Alan Dove says something, I listen. There has to be a story behind his comment. COPENHAGEN, Sept 26, 2012 (AFP) — Five people have been isolated in a hospital in Denmark with symptoms of a new viral respiratory illness from the same family as the deadly SARS virus, the hospital said on Wednesday [ 26 September]. “We have sent samples from the five for testing and hope to get the results this afternoon,” chief physician Svend Stenvang Petersen of Odense University Hospital told AFP. “We have put them in isolation because we don’t know how the virus spreads. So just as with bird and swine flu we have admitted them and isolated them so that we prevent the spread to others,” Petersen said. COPENHAGEN, Sep 26, 2012 (AFP) — Five people in isolation in a Danish hospital are suffering from a typical influenza strain and not a new SARS [severe acute respiratory syndrome]-like respiratory illness as feared, the Odense University Hospital said Wednesday [ 26 September]. “The five have tested positive for Influenza B and because of their general state we are sure that they do not have the new coronavirus,” the hospital’s chief physician Svend Stenvang Petersen told AFP. The five, three adults and two children, had been isolated at the hospital since Tuesday amid fears they had contracted a new virus in the same family as Severe Acute Respiratory Syndrome (SARS) after they experienced fever, coughing and influenza-like symptoms. “We will be sending them home tomorrow (Thursday),” Petersen said, adding that all five were well despite their influenza. Two of the five had recently been to the Middle East, with the father of the two children having travelled to Saudi Arabia and an unrelated man in Qatar. The new virus was recently identified by the British Health Protection Agency in a Qatari man transferred to London after apparently picking it up in Saudi Arabia. It has to do with how Fouchier initially represented his H5N1 findings. We’ve talked about it quite a bit on TWiV. I think you may have misunderstood the KSA MoH statement that ProMED circulated Sunday – or I’m misunderstanding your post. The three cases they referred to where a CoV infection was diagnosed are the 2 confirmed cases (Saudi, 60; Qatari, 49) and a suspect case, a Saudi who had similar symptoms and died while being cared for in the UK. HPA is trying to see if they can find confirm posthumously but they may not be able to. I did misunderstand the KSA MoH statement. Thanks for pointing this out, I’ve removed the statement. It must be a typo, since I know better! Thanks for pointing it out. Hi. I’m Jamaica Ross, 17-year old. A second year medical technology student. I need 5 articles about medical technology skills and it should be summarized. Can you help me with this? Thanks a lot professionals! into formaldehyde that inactivate many viruses including coronaviruses. The preparation should help in acidification of the urine. This virus may already be in the net and may be the causative agent in several unexplained deaths in the US which presented with ARDS and subsequent renal failure. The causative agent was not identified as of this date in those cases. So did you flunk or get kicked out of school yet?